"I'm thrilled to join the Sacks Parente team," said Papadourakis. "I was first introduced to the putters by co-founder, Steve Sacks, and was instantly impressed. 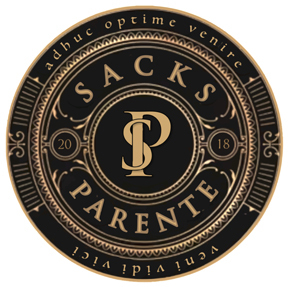 I'm a passionate golfer who appreciates technology and I believe Sacks Parente is leading the way in design, craftsmanship, and technological advancements. The pure technology that these putters represent is bringing performance to a level that is unmatched in the industry." "Angelo's leadership skills, knowledge of the golf industry, and reputation for developing and maintaining outstanding client relationships make him an incredibly valuable asset to our team," said Tim Triplett, CEO of Sacks Parente Golf. "We could not be more excited to bring him on board as we continue to expand to meet the needs of our growing business." All Sacks Parente putter designs feature the company's patented Ultra-Low Balance Point (ULBP) technology that lowers the balance point along the shaft between the sole and a point not more than 5 inches above the sole, causing the putter head to square and release at impact, delivering exceptional rollout and accuracy. In addition, all Sacks Parente putters maximize MOI by combining the use of ultra-light weight alloys and high-density tungsten, to significantly move more weight from the center of the putter to the heel and toe. The company has numerous patents and patents pending in regard to the science associated with these exceptional putters, which are available in both Player and Tour Models.